SOUTH BRONX, N.Y. (WABC) -- A Bronx man is expected to bring the first legal action in the Legionnaires' disease outbreak Friday, as the number of cases continues to grow. The New York Daily News reported Friday that Marvin Montgomery's attorney said he's planning to file a lawsuit against the city Friday, and that in addition to being compensated for his injuries he wants to prevent future outbreaks. The number of deaths that have been reported in the South Bronx section of the city since the outbreak started July 10 remains at 10. The number of cases, though, has increased to 101 after another illness was able to be connected to the Legionnaires' disease outbreak. Dr. Richard Besser has more. State Health Commissioner Howard Zucker is meeting with local officials and experts from the Centers for Disease Control Friday. They're discussing how to handle the outbreak. RELATED: What is Legionnaires' disease? Also on Friday, Gov. Andrew Cuomo said that teams led by the State Department of Health will be deployed to the Bronx starting Saturday. Their mission is to speed up the collection and testing of cooling tower water samples. The state is providing free testing for building owners that have cooling towers or evaporative condenser units. - No new deaths have been reported in the last day. - Emergency department visits for pneumonia are decreasing in the South Bronx. - The one new reported case of Legionnaires' disease was diagnosed in prior days - not in the last 24 hours. 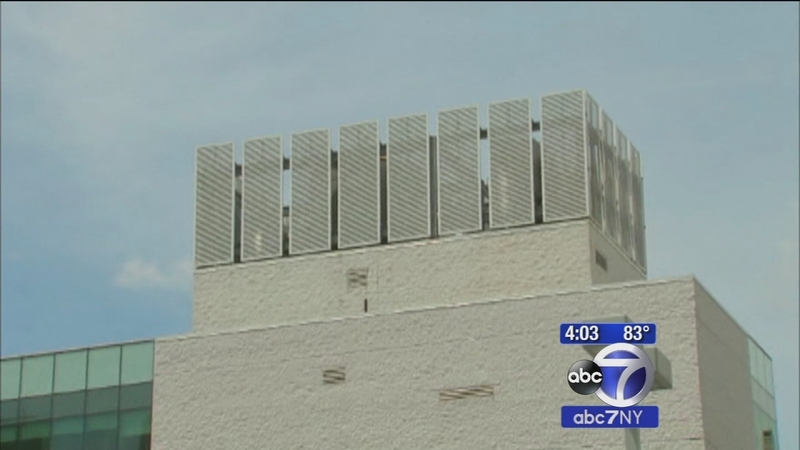 On Tuesday, the mayor ordered building owners to test their cooling towers for the bacteria within the next 14 days. During that news conference, de Blasio said the numbers were indicating that the peak had been reached and that fewer cases had been reported. The numbers were seven deaths and 86 total cases. Health officials said they believe five cooling towers that tested positive for Legionella bacteria are the source of the outbreak. All towers have since been cleaned. RELATED: What are the symptoms of Legionnaires' disease? On Tuesday, de Blasio said the numbers were indicating that the peak had been reached and that fewer cases had been reported. At that time, the numbers were seven deaths and 86 total cases. Dr. Mary Bassett, the city's health commissioner, said this is the largest outbreak of Legionnaires' disease in the city, as far as she knows.